Home of The DEM BOTS! 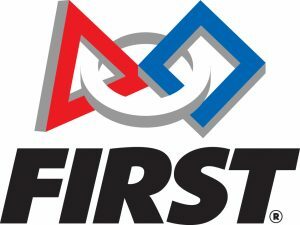 The FIRST (For Inspiration and Recognition of Science and Technology) Robotics Team is a varsity Sport for the Mind(TM), FRC combines the excitement of sport with the rigors of science and technology. Under strict rules, limited resources, and time limits, teams of 25 students or more are challenged to raise funds, design a team “brand,” hone teamwork skills, and build and program robots to perform prescribed tasks against a field of competitors. It’s as close to “real-world engineering” as a student can get.Volunteer professional mentors lend their time and talents to guide each team. TPS Robotics is beginning its fourth season in FRC. In its first season, the DEM BOTS won two awards: the Rookie All-star Award and the Highest Seeded Rookie Team Award, and qualified to compete in the 2011 World Championship in St. Louis. During its second season, the team attended a regional tournament in San Diego and a second in Las Vegas, where they qualified as a quarter-finalists. That year, the DEM BOTS attended the 2012 World Championship and placed 38th out of the100 teams in our division. Last year, the team attended regional tournaments inSan Diego and the Inland Empire and this year they are gearing up for the LosAngeles regional tournament in Long Beach.